This entry was posted in Medical Cannabis Payment Solutions (REFG), QualityStocksNewsBreaks on March 22, 2018 by QualityStocks. Cannabis-focused financial services company Medical Cannabis Payment Solutions (OTC: REFG) this morning announced the launch of its banking and financial processing system, making its services available to the complete legal cannabis industry worldwide. State licensed marijuana establishments may sign up through the company’s website. The company’s advanced payment solution, Green, currently allows consumers to buy items using US currency and will soon allow Bitcoin. “As we’ve stated in previous announcements, we continue to believe our best-in-class security, regulatory compliance and pricing give us a huge competitive advantage,” Medical Cannabis Payment Solutions CEO Jeremy Roberts stated in the news release. This entry was posted in Medical Cannabis Payment Solutions (REFG), QualityStocksNewsBreaks on March 16, 2018 by QualityStocks. Medical Cannabis Payment Solutions engages in providing end-to-end management, across multiple management systems, for medicinal marijuana operations. Many medicinal marijuana companies have experienced such rapid growth that they are finding it difficult to manage all aspects of their operation. In order to become a successful and compliant medicinal marijuana operation, effective management must depend on many different systems. REFG solves the fragmentation problem by identifying tools that are important to dispensaries, and customizing those tools specifically catered to the industry. The company strives to create awareness within the medicinal marijuana industry and to develop an environmentally friendly, economically sustainable business while increasing shareholder value. For more information, visit the company’s website at www.REFG.co. This entry was posted in Medical Cannabis Payment Solutions (REFG), QualityStocksNewsBreaks on March 14, 2018 by QualityStocks. This entry was posted in Medical Cannabis Payment Solutions (REFG), QualityStocksNewsBreaks on March 5, 2018 by QualityStocks. This entry was posted in Medical Cannabis Payment Solutions (REFG), QualityStocksNewsBreaks on February 13, 2018 by QualityStocks. This entry was posted in Medical Cannabis Payment Solutions (REFG), QualityStocksNewsBreaks on January 19, 2018 by QualityStocks. Medical Cannabis Payment Solutions strives to provide end-to-end management, across multiple management systems, for medicinal marijuana operations. Many medicinal marijuana companies have experienced such rapid growth that they are finding it difficult to manage all aspects of their operation. In order to become a successful and compliant medicinal marijuana operation, effective management must depend on many different systems. REFG solves the fragmentation problem by identifying tools that are important to dispensaries, and customizing those tools specifically catered to the industry. REFG strives to create awareness within the medicinal marijuana industry and to develop an environmentally friendly, economically sustainable business while increasing shareholder value. For more information, visit the company’s website at www.MedicalCannabisPaymentSolutions.com. This entry was posted in Medical Cannabis Payment Solutions (REFG), QualityStocksNewsBreaks on December 27, 2017 by QualityStocks. This entry was posted in Medical Cannabis Payment Solutions (REFG), QualityStocksNewsBreaks on December 21, 2017 by QualityStocks. This entry was posted in Medical Cannabis Payment Solutions (REFG), QualityStocksNewsBreaks on December 15, 2017 by QualityStocks. Medical Cannabis Payment Solutions and its StateSourced specialized digital payment platform ensures full compliance with all laws affecting the cannabis industry while delivering full-spectrum merchant processing services (http://dtn.fm/Yoj4Y). 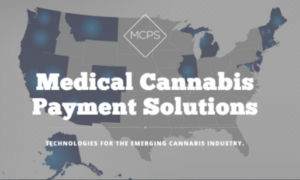 Medical Cannabis Payment Solutions is able to offer its StateSourced card on a state-by-state basis where the card can be used in purchasing product from a legal, authorized vendor, providing a much-needed option for consumers and businesses alike. The company has also announced a partnership agreement with First Bitcoin Capital Corporation that will integrate First Bitcoin’s $Weed cryptocurrency with StateSourced – offering a tailored solution to the specific needs of the marijuana industry. Through this collaboration, a new platform will be launched to deploy an exchange system utilizing $Weed and other prominent cryptocurrencies such as the well-known bitcoin. Growth in the legalized marijuana industry is thriving, as evidenced in 2016 by the $6.7 billion in gross legal sales between the U.S. and Canada, according to an article in the Las Vegas Sun (http://dtn.fm/r4FpQ). That number is expected to reach $20.2 billion in sales by 2021, according to cannabis research firm Arcview Market Research, the article states. With some form of marijuana legal in 29 states and the District of Columbia, and a 2017 Gallup Poll showing a record high of 64 percent of Americans supporting the legalization of marijuana for recreational use (http://dtn.fm/RMW6r), there is an increased need for payment solutions such as those offered by Medical Cannabis Payment Solutions. This entry was posted in Medical Cannabis Payment Solutions (REFG) on December 12, 2017 by QualityStocks. This entry was posted in Medical Cannabis Payment Solutions (REFG), QualityStocksNewsBreaks on November 21, 2017 by QualityStocks. This entry was posted in Medical Cannabis Payment Solutions (REFG), QualityStocksNewsBreaks on November 17, 2017 by QualityStocks.